We think there’s no better place to stay the night than New Brunswick’s great outdoors. Our parks offer visitors campgrounds with beautiful surroundings, nearby conveniences and access to unmatched hiking trails. 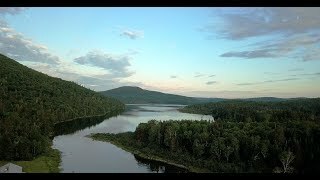 We have everything from Mactaquac’s 300-campsite-facility, complete with a golf course, to secluded campsites at the base of Mount Carleton, the highest peak in the Maritimes. Whether you’re looking for a seaside site to pitch a tent or a family-friendly spot to park your RV – we’ve got you covered. From peaceful beachside strolls to heart-pounding wilderness adventures, your vacation options are endless in New Brunswick’s Provincial Parks. Take in breathtaking views of sunsets and sunrises over the Northumberland Strait at Murray Beach or defy gravity at Sugarloaf where the downhill bike park offers Atlantic Canada’s only lift-service mountain bike trail. Please check each park’s page for the open and close dates and if you’re planning to camp, book early because everyone wants to experience the great outdoors in New Brunswick! Protected, Preserved … and Fun! 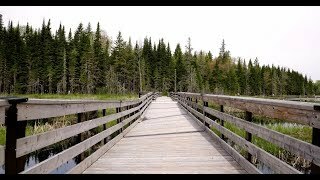 Canada’s National Parks preserve our most precious landscapes, and in New Brunswick, we have 2 very different parks that offer more ways for you to connect to nature. Experience the extraordinary force of the highest tides in the world at Fundy National Park with trails, golf, campgrounds and many activities along the Bay of Fundy and in the backcountry. 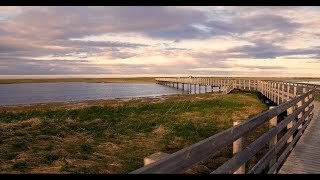 Kouchibouguac National Park stretches along the Acadian Coast and warm saltwater swimming beaches and has great programming for adults and kids alike. Need a good excuse to get outta town? We'll give you 12. Whether you choose to hike the Maritimes' highest peak, swim in Canada's warmest salt water or ski down some of the oldest mountains on the planet, New Brunswick Provincial Parks will put you in touch with the best nature has to offer. 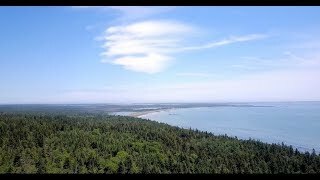 Experience the extraordinary force of the highest tides in the world at Fundy National Park and discover spectacular coastline vistas at Kouchibouguac National Park. 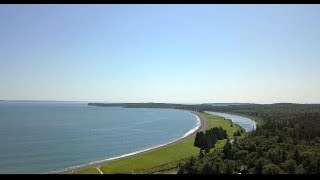 Not to be missed… a visit to Roosevelt Campobello International Park, the summer vacation home of the American president. Explore and learn with a variety of interpretive programs, special events and outdoor excursions - the best way to unplug and connect to nature. Planning on camping? Whether you're staying in a tent, RV, cabin or rustic shelter, you'll find a wide range of on-site amenities that bring an added level of convenience to your stay, from clean washrooms and kitchen shelters to camping supply stores, playgrounds, activity centres and more. Check out our guide to connecting with nature to prepare for your visit. While here, keep an eye out for the interpreters in the green shirts – they’re our Get Outside! NB crew and they’ll make sure you’re making the most of your time in New Brunswick parks! Naturally BeautifulYou'll love these parks! All it takes to find unexpected treasures is a trip to one of these parks. Cruise along Eastern Canada's best mountain biking trails, hike to waterfalls tucked away in lush forests or camp under starry skies. Build Instagram-worthy sandcastles or lounge on a beach. There's no better way to recharge your batteries than with some time well spent in our great outdoors. Looking for a spot to rest your head? Pitch your tent, bring your RV or enjoy the ease of a rustic shelter, cabin or yurt.